We started our day by dropping by the famous Osulloc for some amazing green tea while the husband had to do some work. Known to be one of the famous premium green teas that comes in a wide range of variety. Although it is a tad bit pricy but it is most certainly worth trying, especially if you are a green tea lover. We then headed over to Hongdae, with the intention to check out the famous trick eye museum as well as their famous street food. 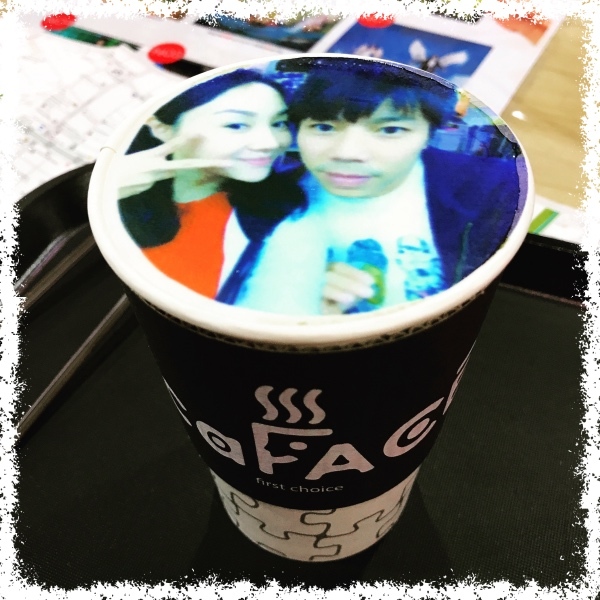 Hongdae has many amazing cafes to check out. As the time and weather wasn’t too good, we only managed to check out the lamb cafe. We had coffee and their waffles here. We then walked along and saw some pretty interesting things and had some yummy street food.